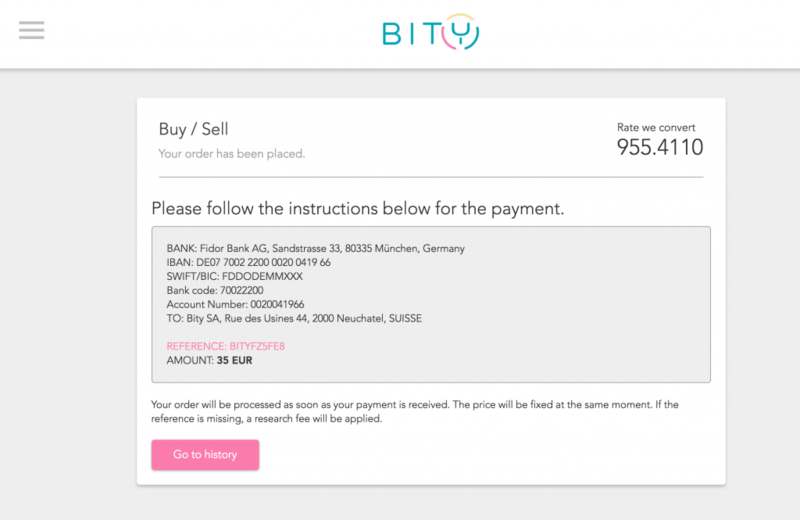 Step by step instructions for how to purchase Bitcoin in Switzerland and elsewhere in Europe. 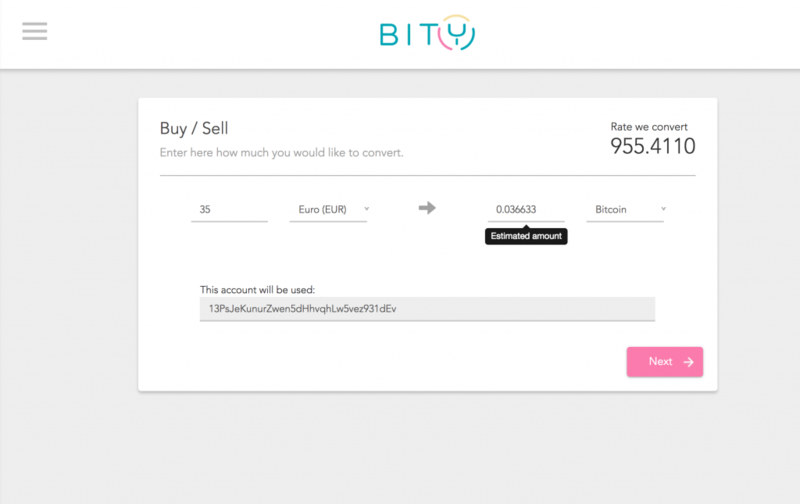 Bity.com, located in Switzerland, is one of the leading services for buying and selling bitcoin in their region. You can purchase bitcoin directly from their service using EURO or CHF, and then spend them on Purse to receive big discounts on your online shopping. 1. To get started, first you’ll need to sign-up for an account. After verifying your account and logging in, you’ll be directed to their dashboard. SOFORT/OBT: less than one hour for your second purchase. SEPA: generally one business day. 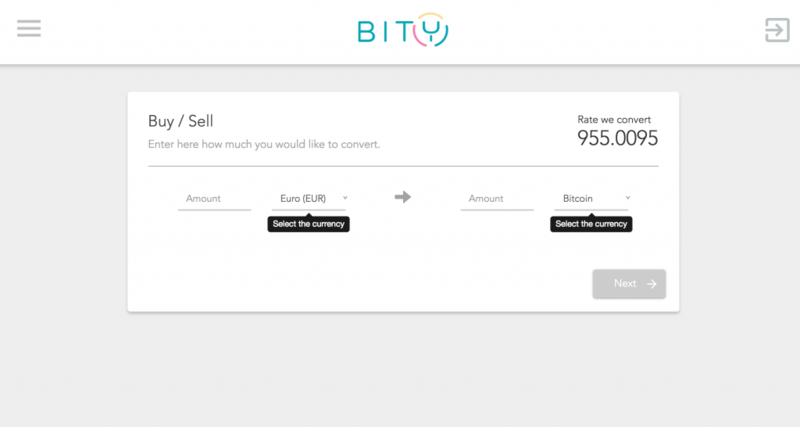 To begin a purchase, click “Buy/Sell” from the dashboard, and enter in the amount of bitcoin you’d like to purchase (to increase your limits, you will need to verify your account), then click Next. 4. 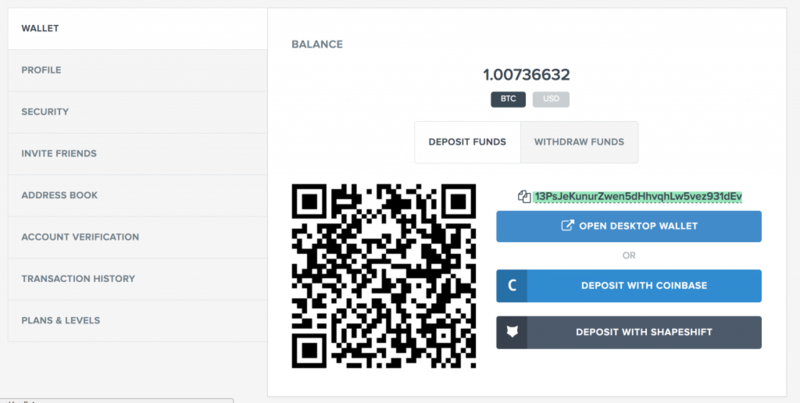 To find your bitcoin deposit address on Purse, sign-in and click your account name in the top right. From there, click “Wallet” and “Deposit“. 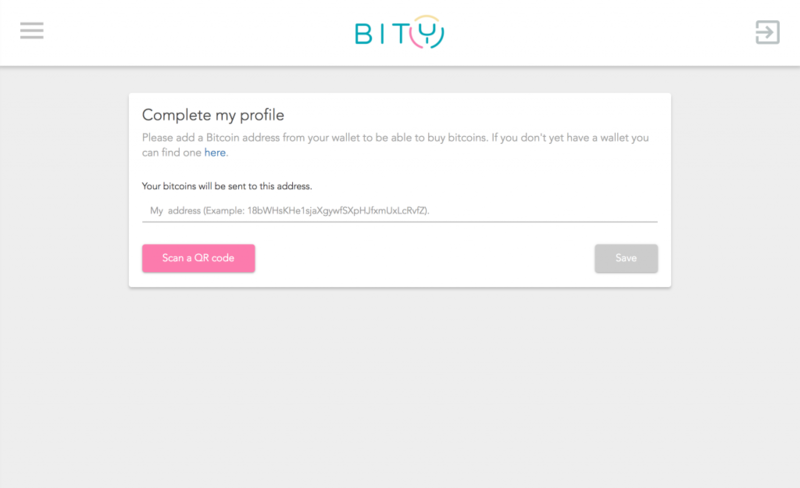 Copy your deposit bitcoin address (highlighted in the picture below), and paste it in the address field on Bity.com. Your bitcoin deposit address will then be saved for future purchases, and any bitcoin you purchase can be sent to your Purse wallet to quickly start spending on our service. 5. Once your deposit address is pasted, click “Next“. 6. And, you’re done! Now just complete the order by sending in your payment. Once your bitcoin purchased has processed you will see your Wallet balance updated, from there you can immediately start shopping on Purse. To get started, check out our walkthrough on how to use Name Your Discount to save 10-33% off your Amazon purchases.